One of the finest fliers of his time, Charles Lindbergh was the chief pilot for the first St. Louis-to-Chicago airmail route, in April 1926. While based at Lambert Field, he conceived of an airplane that could fly from New York to Paris, and persuaded a group of St. Louis businessmen to finance the project. 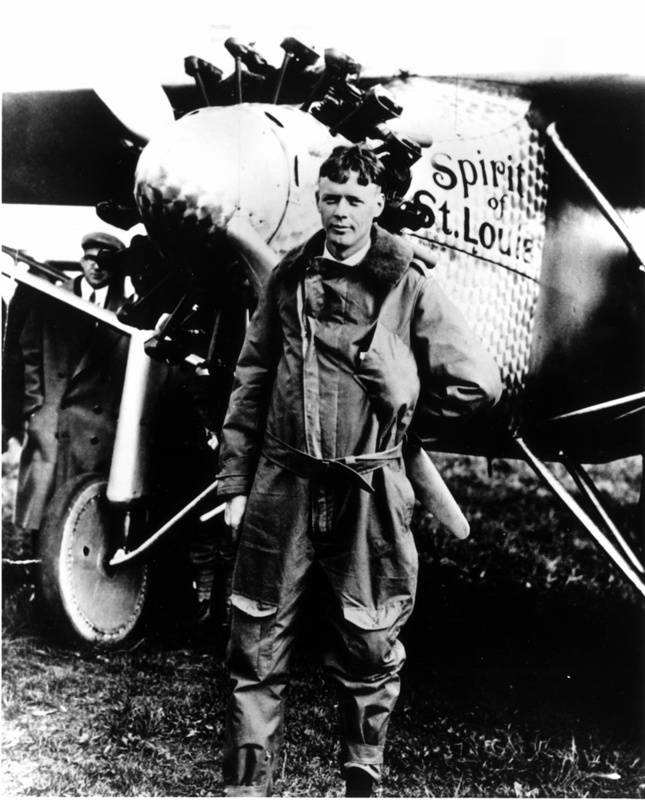 The result was the immortal Spirit of St. Louis, which he flew across the Atlantic on May 20–21, 1927. The feat made Lindbergh a national hero and raised public awareness of aviation’s potential to an unprecedented level. The Charles A. and Anne Morrow Lindbergh Foundation Furthering Charles and Anne Morrow Lindbergh's shared vision of a balance between technological advancement and environmental preservation. Judy Little, President, University City Historical Society, accepted on behalf of Mr. Lindbergh.